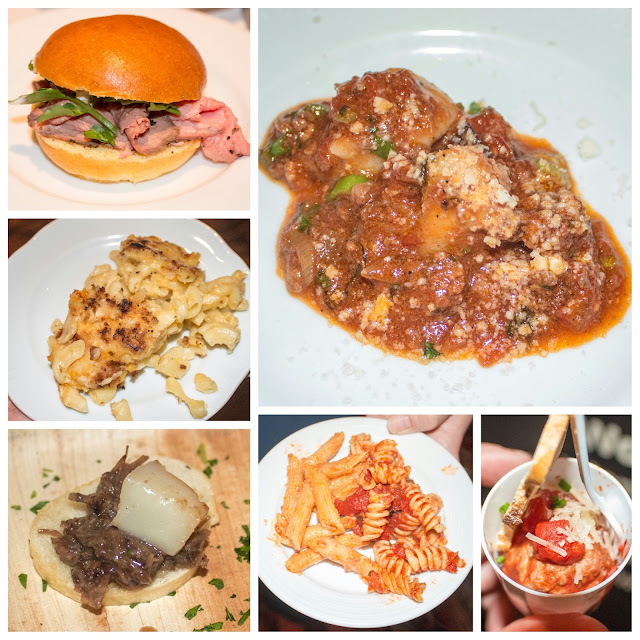 One of my favorite annual Philly foodie events has to be the Rittenhouse Row Festival. This year, it'll be on Saturday, May 21st so mark it on your calendars. It's a great way to enjoy the urban sprawl that is Walnut Street, from Broad Street down to Rittenhouse Square. As a precursor to the festivities, Rittenhouse Row hosts a Preview Party, showcasing many of the offerings from a number of participating restaurants. 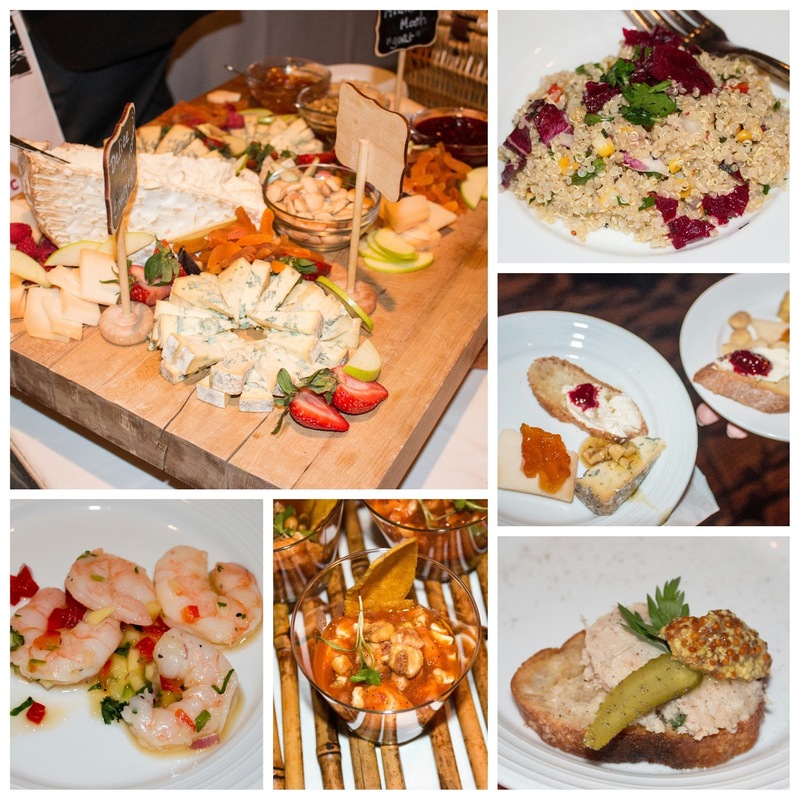 For $75 pp, you're privy to a massive spread of food and drink. There's also a silent auction benefiting the non-profit organization that is Rittenhouse Row. Gift cards, dinners, parties, and services - a wide breadth of exciting options to tempt your wallet. 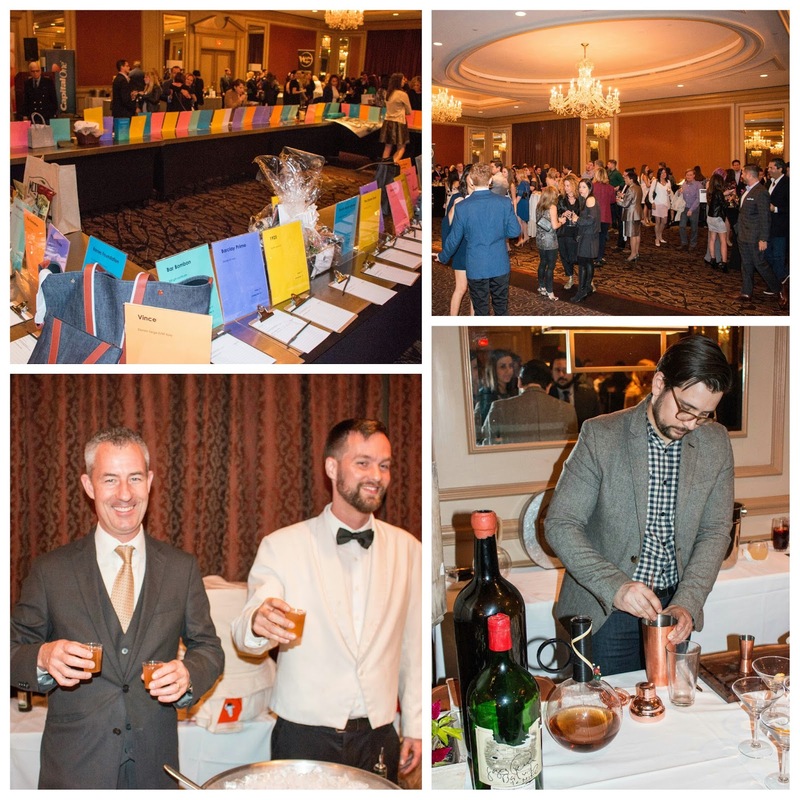 Libations were liberally flowing, with sponsors including Blue Moon and Don Julio Tequila, among others. 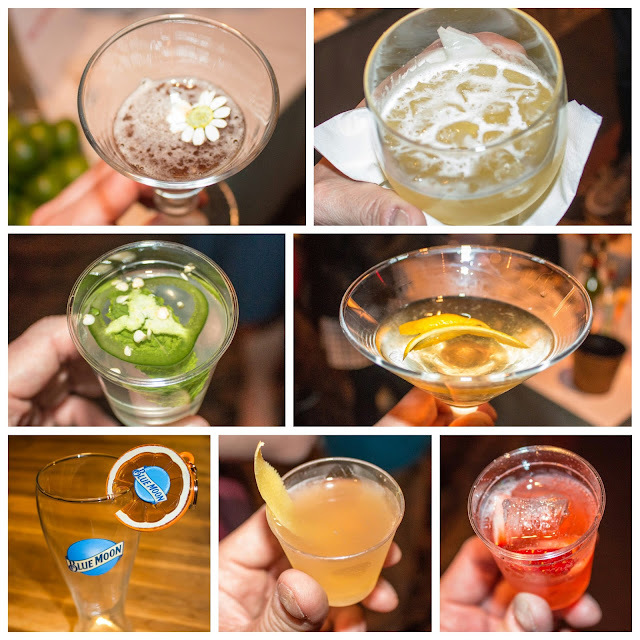 A cocktail competition provided further incentive for the participating restaurants to showcase their talents. Some of my favorites included Bar Bombon's florally-adorned tequila tipple as well as Coda's take on a mojito, with Don Julio subbing in for the rum. The latter had a spicy kick from the jalapeno! Clockwise from Top Right: Food from Marathon Grill, Parc, Crow and the Pitcher, Alma de Cuba, Devon Seafood Grill, Parc again! The GF and I started off with some gorgeous cheeses from Parc, snappy shrimp from Devon, and a hearty grilled vegetable and quinoa salad from Marathon. My favorites had to be the chicken rillette from Crow and the Pitcher as well as the wonderfully seasoned ceviche from Alma de Cuba. Clockwise from Top Right: Food from Davio's, D'Angelo's, Ocean Prime, Cavanaugh's, and Dandelion. From the more substantial bites, my favorites had to be the ethereal gnocchi bolognese from Davio's (I really need to stop by sometime! ), the wonderful surf and turf of braised short rib and scallop from Ocean Prime, and the always delectable roast beef and horseradish sandwich from the Dandelion. 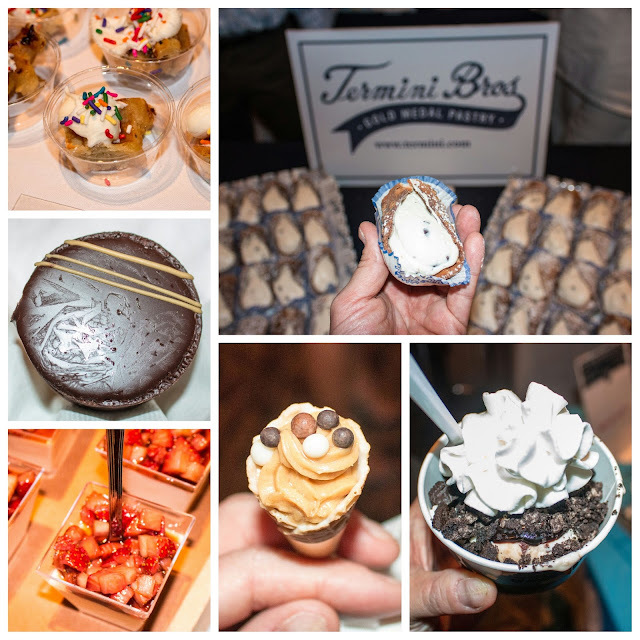 Clockwise from Top Right: Desserts from Termini Brothers, Ben and Jerry's, trio of offerings from Midtown Continental, and Waffles & Wedges. Not to be outdone, there were plenty of satisfying sweets. Philly stalwart Termini Brothers offered their always-outstanding cannoli. Midtown Continental had a great spread at their station, including mini chocolate caramels, macarons, and peanut butter mousse cones. As a final bite, Ben & Jerry's provided a generous scoop of mint ice cream, topped with Oreos, chocolate syrup, and whipped cream. If you missed out on the Preview Party, mark your calendars for next year. In the meantime, be sure to check out the actual Rittenhouse Row Festival on May 21st. Keep your fingers crossed for some springtime sun as well! FTC Disclaimer: I was invited as a guest to this event. Regardless, my opinions are unbiased and therefore, mine alone.